Nothing could make a birthday happier than some free presents from the birthday boy or girls’ favorite restaurants and retail outlets! 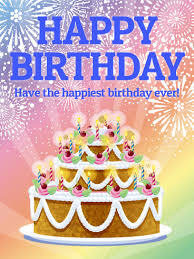 In just a few minutes, it’s easy to sign-up for birthday clubs online from some of the most popular businesses out there and receive coupons for freebies delivered straight to one’s inbox on their birthday. Often times, freebies are given just for signing up and anniversaries as well. A quick Google search will turn up an endless list of birthday offers, but many have since become obsolete or simply won’t deliver. So instead of wasting precious time and filling up an inbox with unwanted junk mail, take the easy way out and check out this guide to the best, most reputable birthday freebies on the web. Acapulco: Become an Acapulco Fiesta Amigo and immediately receive a free order of guacamole just for signing up, in addition to a free birthday entree. Visit www.acapulcorestaurants.com to take advantage of this special offer. Baskin-Robbins: No birthday is complete without ice cream. Receive a free scoop and a discount on a birthday cake when you join the birthday club. Benihana: Perhaps one of the biggest birthday values out there, become a member of The Chef’s Table and receive a complimentary Benihana Birthday Dinner certificate valued at $30. The certificate will be emailed for use during the month of a member’s birthday. Register at www.benihana.com. Buca di Beppo: Sign up for the e-club at www.bucadibeppo.com and receive a free appetizer, a free birthday dessert and an anniversary treat. Burger King: Kids can join Club BK to receive cool birthday surprises. Visit www.clubbk.com to register. California Pizza Kitchen: Kids 10 and under will receive a free CPKids Meal during their birthday month when they join CPKids Birthday Club online at www.cpk.com. Cold Stone Creamery: Sign up for the birthday club at www.coldstonecreamery.com to receive a free creation on birthdays. Del Taco: Join Del Taco’s Raving Fun EClub at www.deltaco.com and receive two free chicken soft tacos and a birthday shake just for signing up. El Torito: Join the “Bull Ring” email club at www.eltorito.com and receive a coupon for a free order of guacamole and a free birthday entree. Romano’s Macaroni Grill: Receive birthday and anniversary gifts as a member of Macaroni Grill’s email club. Sign up at www.macaronigrill.com. Papa Murphey’s Take ‘n Bake Pizza: Visit www.papamurphys.com to join the eClub to receive free cookie dough on birthdays. Quiznos: Birthday boys and girls receive a free cookie on their birthday plus $2 off a sandwich when they join the QClub at www.quiznos.com. Red Robin: Always a favorite, as a member of Red Robin’s eClub receive a free birthday burger. Sign up at www.redrobin.com and get a free gift right away too. Sonic: Become a member of the birthday club at www.sonicdrivein.com and receive a free Wacky Pack Kids’ Meal each and every birthday. The Old Spaghetti Factory: Join the Kids’ Birthday Club at http://.oldspaghettifactory.kidsbirthdayclub.com to receive a free kids’ meal. Wing Stop: Join Wing Stop’s Email Club and receive five free wings as a birthday present. Sign up at http://wingstop.com. Visit the websites of Ben & Jerry’s Ice Cream, Boston Market, Carrows, Chevy’s, Chili’s, Claim Jumper, Dairy Queen, Daphne’s Greek Cafe, Denny’s, Famous Dave’s Barbeque, Hometown Buffet, Jack in the Box, Marie Calendar’s, Mimi’s Cafe, On the Border, P.F. Changs, Qdoba Mexican Grill, Red Lobster, Round Table Pizza, TGI Friday’s, Wendy’s and Wienerschnitzel for even more restaurant birthday offers and freebies. Chuck E. Cheese: Register for the Chuck E. Club at www.chuckecheese.com to receive 20 free birthday tokens. Medieval Times Dinner & Tournament: Register to be invited to the castle for a free feast and tournament on birthdays. Toys ‘R Us: Visit www.birthdaysrus.com to sign up for Geoffrey’s Birthday Club. Kids 10 and under will receive a special birthday card and gift on their birthday. They can also visit their local store and get VIP treatment in the form of a crown, balloon and in-store happy birthday announcement over the loud speaker. Members may also opt to receive a phone call from Geoffrey on their special day. Visit the websites of Dave & Buster’s, Ringling Brother’s Circus and The Children’s Place for even more retail birthday offers and freebies. Take advantage of all the special online offers and freebies available for birthdays to make the day even more special and fun.